Big Catchup Post With Lots of Pictures! Home / Big Catchup Post With Lots of Pictures! It’s been a busy week and I’ve not shared much with you, so a bit of a monster blog post with lots of content. 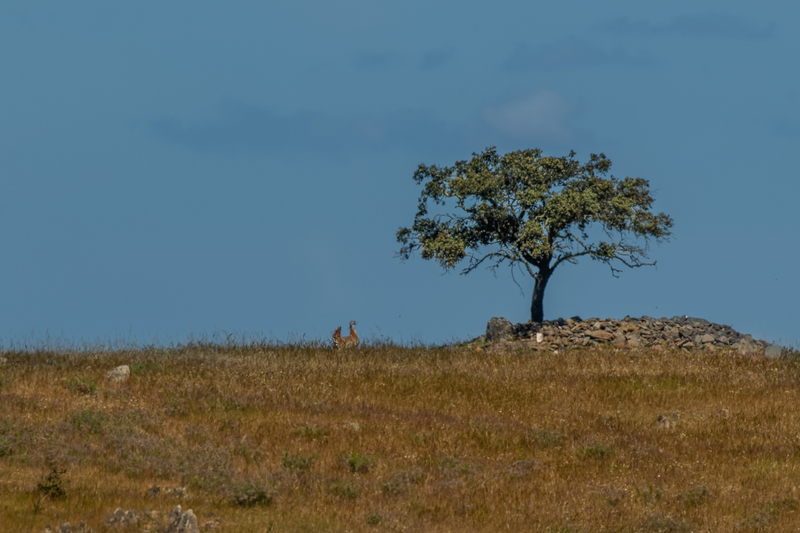 First, I’d like to thank friends Jacquie and Neal for our quick safari drive around the Castro Verde area in the Alentejo Steppe after I was at the LPN centre to discuss some future opportunities. There wasn’t really much chance of close up work, but we did see some great sights. 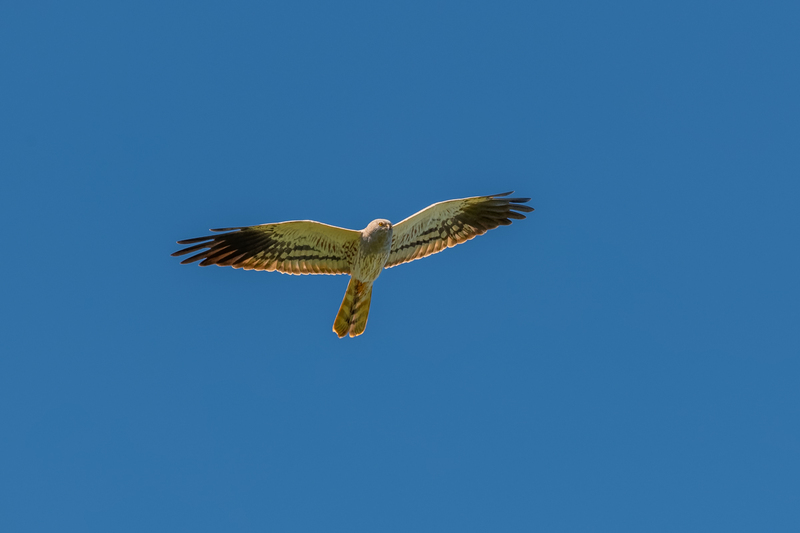 First up, a large group of Montagu’s Harriers displaying. 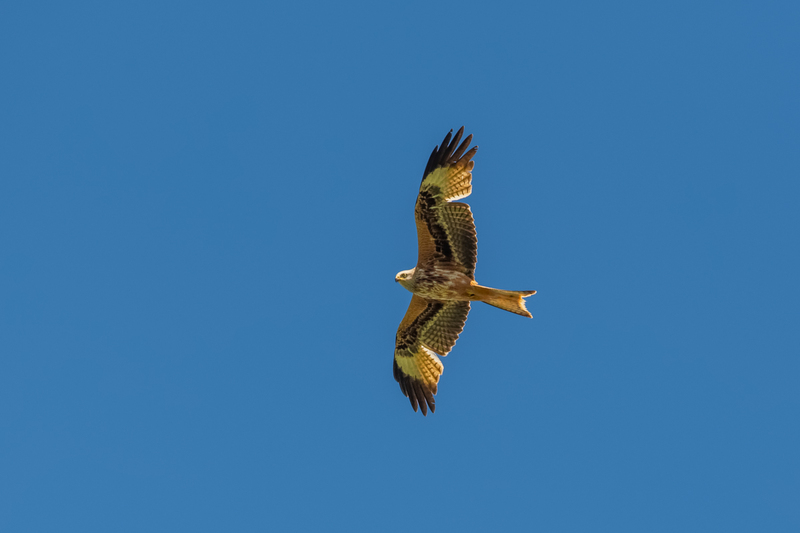 Mixed in amongst the Montagu’s Harriers was a couple of Red Kites, although easily seen during the winter time, these usual head north in April, so it was a good sighting. 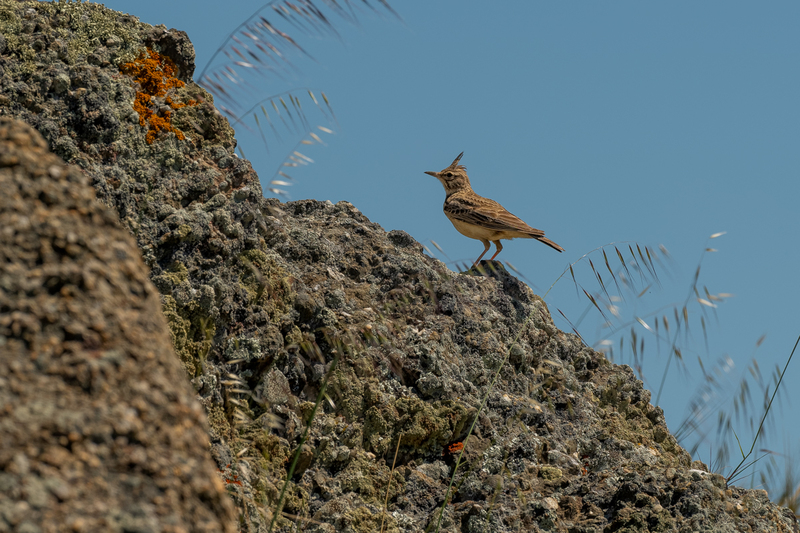 As we drove around in search of Bustards, we spotted a Thelka’s Lark sitting on a top of a bush, it moved to a nearby rock and I just managed to snap a shot of it, not easy with the 500mm and 1.4 converter in the back of a car. 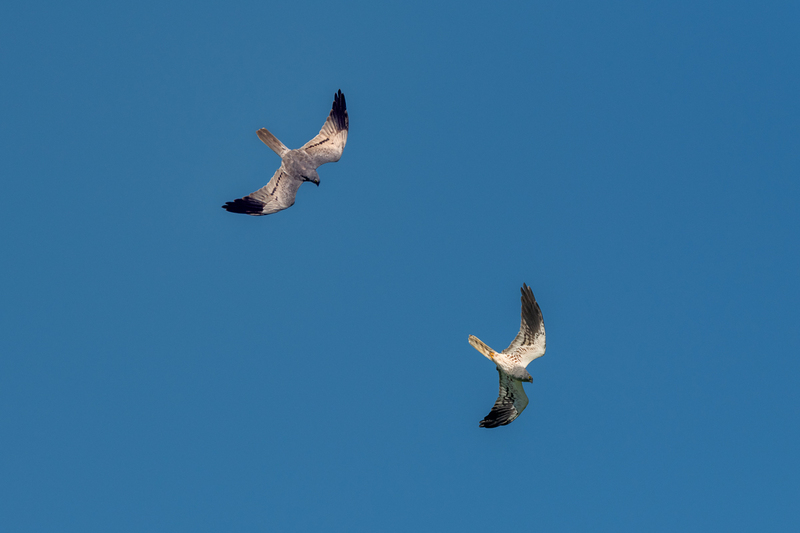 Finally, we spotted some Bustards thanks to an amazing spot by some Belgium Birdwatchers. They were a very long way away with no way of getting closer. Here is a terrible heavily cropped photo of one next to a tree which shows just how big these birds are. 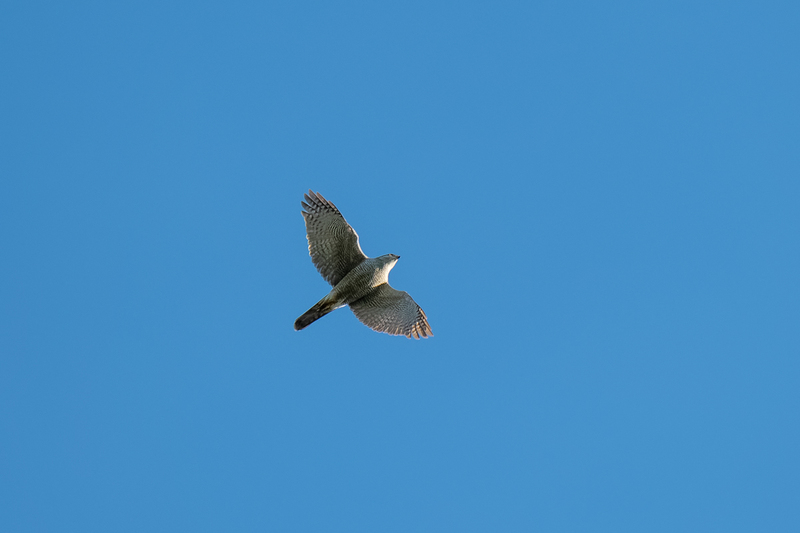 Back locally at home, there has been a few more recent sightings of birds and none better than watching a female Sparrowhawk trying to catch one of my neighbours Pigeons. 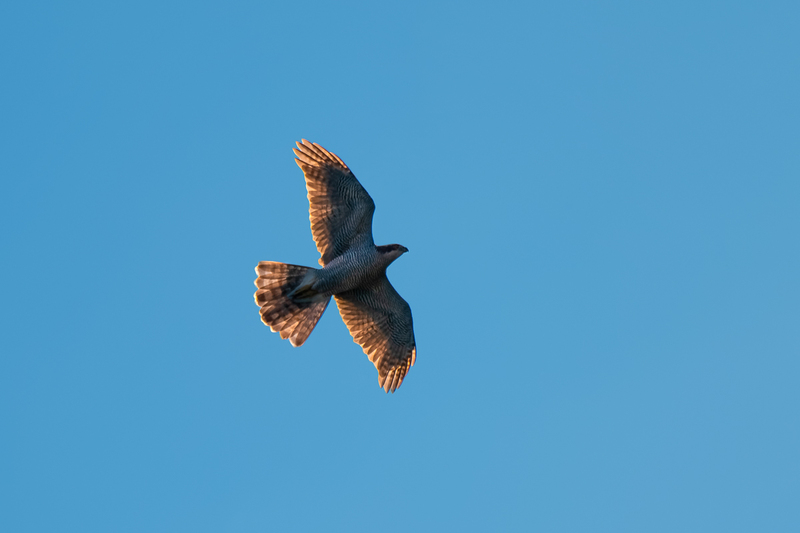 As the female is much larger than the male, she is able to take out Pigeon sized birds. I watched in amazement as I’m almost certain that one Pigeon acted as a decoy to move the Sparrowhawk away from the younger birds. She failed to catch the Pigeon after a couple of attempts before leaving. Unfortunately, I watched all this directly into the sun so wasn’t able to get some shots, but I did get 2 shots with one backlit by the late afternoon sun. 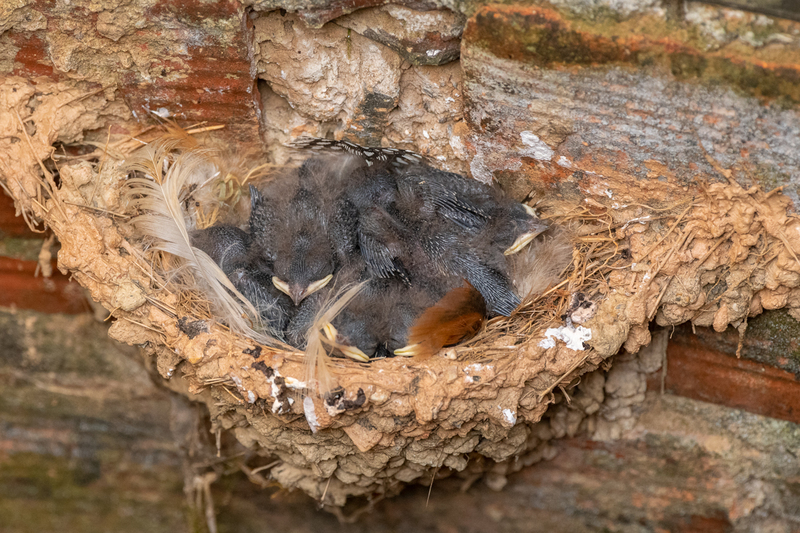 Remember the nest photo of with the baby Barn Swallows a few days ago (Read Here). Well, I thought there were 3 babies, but I took a sneaky look yesterday and there are 5 babies in there. 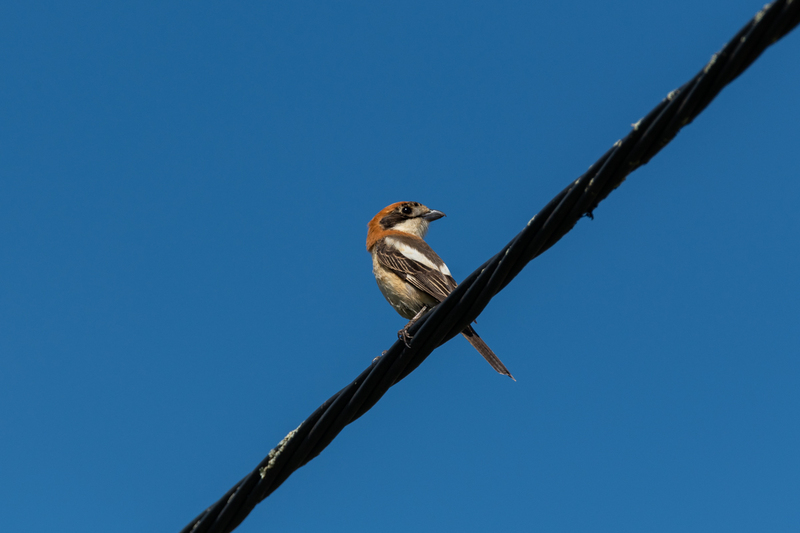 One of my favourite small birds, the Woodchat Shrike, is in good numbers locally and I’m seeing them often during my walks. 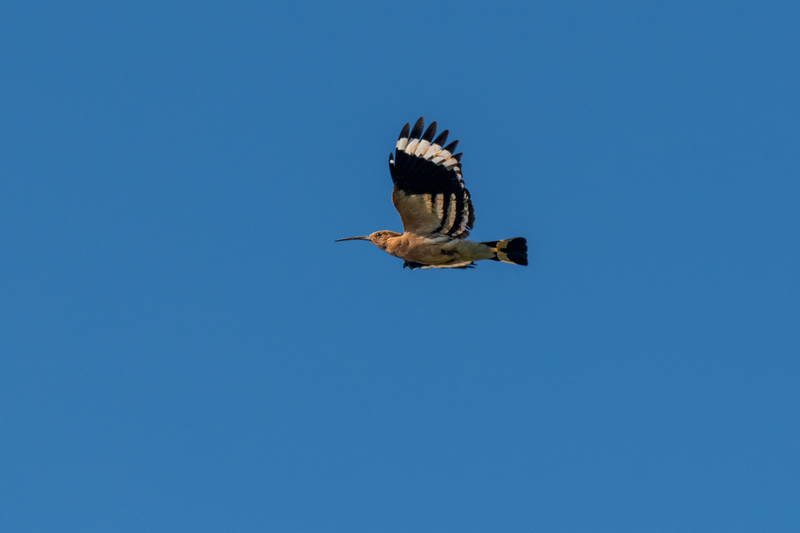 Hoopoes are fairly common calling their own name out and we have on bird that is calling differently to the rest. We call it Two-Hoop as instead of the usual “Hoop Hoop Hoop” call, it only calls “Hoop Hoop”. 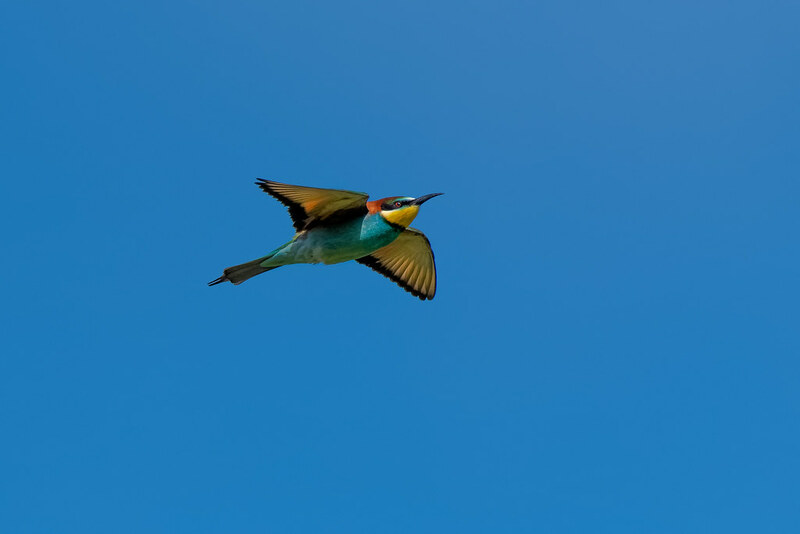 So all that post and no mention of the Bee-Eaters, well they are around everywhere in large numbers and I hope to spend some more time amongst them soon, but here is a photo of one from this morning. Most of the above (except the trip to Castro Verde) includes Wally, so here he is amongst the spring colours! 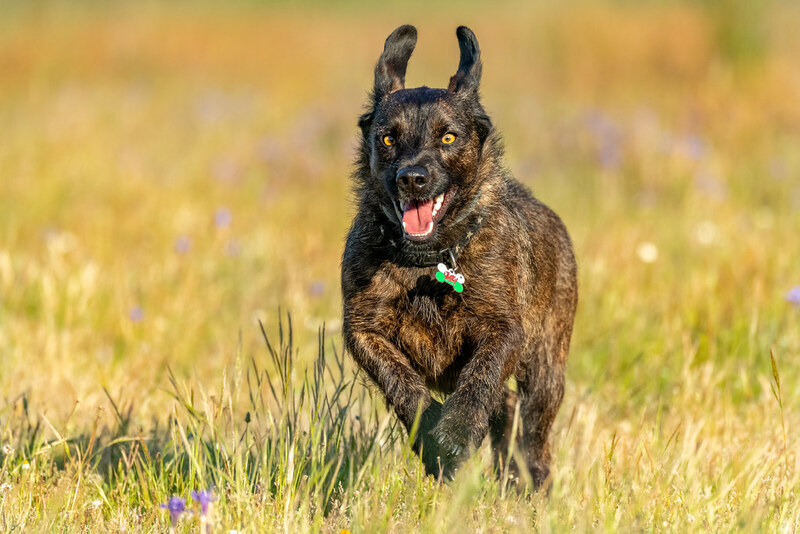 Now is the best time to get your own Dogs-In-Nature Photo Shoot whilst we have all the spring colours and great light!